When USC missed out on a few of its local DBs in Chris Steele‍, Trent McDuffie‍, Cameron Williams‍, Chris Roland‍, Mykael Wright‍ and others, the Trojans went looking out of state to find a few solid prospects. 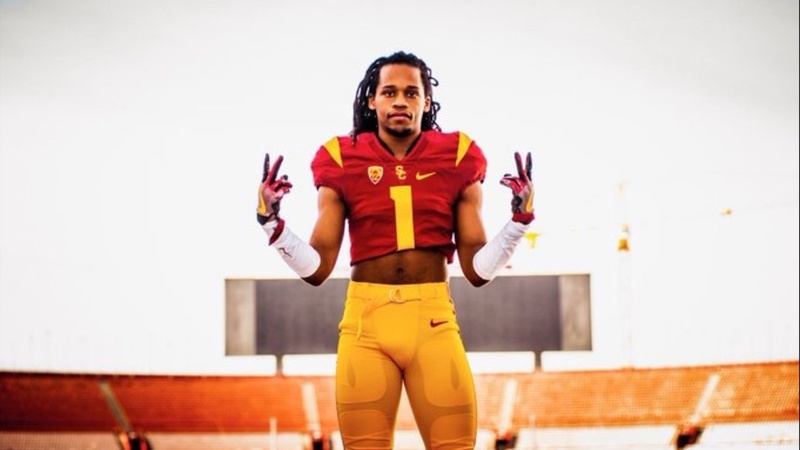 On Tuesday they got a commitment from Houston DB Dorian Hewett‍ And today USC got another huge commitment from Murfreesboro (TN) CB Adonis Otey‍. At one time Otey was committed to the Vols, then Arkansas and today he signed with the Trojans.